In Lewis county, West Virginia, residents are beginning to find out details about CONSOL energy’s plans to expand oil and gas development in their area. The company says they will begin hydraulic fracturing here as early as next January. On Tuesday, hundreds of people crowded into a tight assembly hall at Jackson's Mill to attend a public forum about what the energy company is planning. The prospect of hydraulic fracking in the area is prompting excitement, but also concerns. At the end of a 2 and-a-half-mile, single lane road, sits La Paix Herb Farm. Owner Myra Bonhage-Hale is a retired social worker in her 70's. She and her son Bill live here, in a brightly painted, purple homestead that dates back to the 1800's. The house, formerly called the May-Kraus home, is on the National Register of Historic Places. Bonhage-Hale grows a variety of herbs that she distils into essential oils and hydrosols. She makes about $8,000 a year selling her herbal products and doing herbal workshops on her farm. She lives in the unincorporated community of Alum Bridge, and she doesn't own her mineral rights. She's worried that she won't be able to keep energy companies from drilling for natural gas near her home. “I am terrified that I am going to lose this farm to Marcellus Shale Drilling,” said Bonhage-Hale. To release gas from the Marcellus Shale rock formation deep underground, companies blast water and chemicals deep into the ground at high pressures. Bonhage-Hale is worried that at tonight's meeting she and her family are going to find out that these types of hydraulic drilling well pads are coming to Alum Bridge. She is scared for her health and worried that her well water and the air on her farm will be contaminated. She points to neighboring farms in Doddridge County, which has seen tremendous gas and oil development in the last few years. “They've had beautiful farms, they've got fracking pads next door, they've lost all their property value. And they can't move, cause there's nowhere to go. And that's very much gonna happen in Lewis County,” Bonhage-Hale said. Exactly what is going to happen in Lewis County—that's still unclear. Queen said that lots of citizens are excited that drilling could bring new jobs to Lewis County. “Many many many of our citizens currently work in the oil and gas industry, but possibly work out of state. A lot of those folks are excited because they'll be able to work at home for awhile," Queen said. 78-year-old Bob Shear lives just over the hill from Myra Bonhage-Hale's farm. He feels bad about her situation. But unlike her, he owns most of his mineral rights. He's benefited from 14 conventional gas wells on his property. “For the hydraulic fracturing, in my case, it could make me a fortune,” said Shear. Still, Shear is not sure yet if he would welcome fracking operations on his land. “If it was in an out of the way place where I didn't think that it could ever contaminate my water system, I might be agreeable.,” said Shear. Back over the hollow at Bonhage-Hale's Lavender farm, Myra, and her son Bill, and her granddaughter, Aijah, are out in the garden. 9-year-old Aijah has discovered three tomatoes that she planted this spring. Bonhage-Hale fears that this idyllic scene will be lost, along with her farm's customers, if hydraulic fracking comes to Alum Bridge. “And I feel so badly that I spent so much time, and I grew to love something so much, that we're all gonna lose,” said Bonhage-Hale. If fracking plans go ahead, Bonhage-Hale is considering buying property in Maryland. But she knows that even there, she might not be able to escape the development of natural gas drilling, which could include fracking in the future. On Tuesday, hundreds of people crowded into a tight assembly hall at Jackson's Mill to attend a public forum, hosted by CONSOl energy. Though many people, including Myra Bonhage-Hale, were anticipating a presentation, energy company representatives instead spoke to people one on one to people. For a report on this meeting, click here. Screen shot from West Virginia DEP's interactive oil and gas wells map. Horizontal wells are marked red. The latest figures from the Department of Environmental Protection indicate that there are upwards of 400 horizontal well pads in West Virginia. How many more will there be? Want to learn how you can navigate the DEP's interactive Gas Well Map? Click here. West Virginia's two U.S. senators say they'll be watching closely to see how Ohio-based Murray Energy treats safety and the workforce of the five CONSOL Energy mines it's buying. 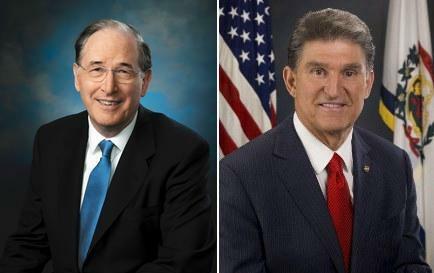 Senators Joe Manchin and Jay Rockefeller have requested a meeting with Murray Energy to discuss the transition. The companies announced the deal Monday for the sale of the Blacksville No. 2, Loveridge, McElroy, Robinson Run and Shoemaker mines. Pennsylvania-based CONSOL said it wants to shift resources to natural gas development. 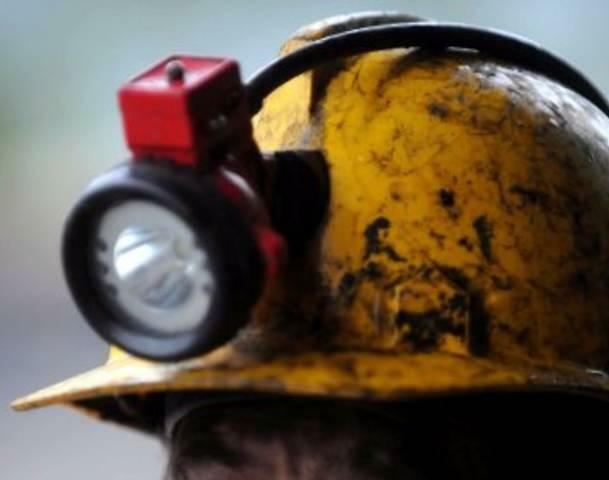 A coal company has been cited by federal mining regulators for the November 2012 collapse of a Harrison County coal slurry impoundment that left a miner dead. Dozer operator Markel Koon of Shinnstown and his machine were swept into the impoundment when an embankment collapsed at the Robinson Run Mine's Nolan Round impoundment near Lumberport. He was 58.